"If It's All Wood, It's All Good"
We can build anything from mild to wild. Welcome to All Wood Log Splitters web page which is home of the WORLDS FASTEST LOG SPLITTERS! We are committed to building the best commercial log splitters and firewood conveyors in the industry. 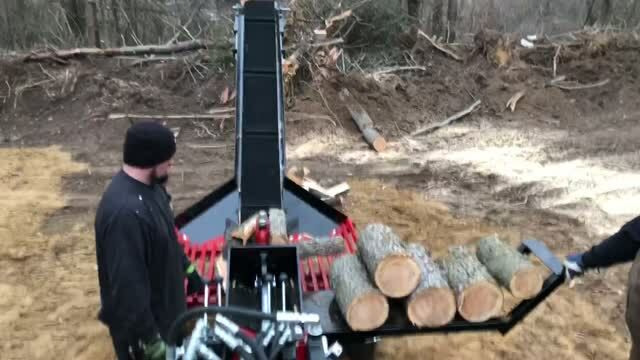 Dollar for dollar no other log splitter or conveyor comes with as many features as ours. All of our log splitters come with a hydraulic log lift, hydraulic wedge lift, Honda GX series engine, torsion axle, highway tires and quality hydraulic components. Give us a chance to show you why we are the best commercial log splitter company in the country. Every machine we produce is built to the highest standards. We build the most rugged wood splitter on the market. Wedges come in 4, 6, 8 and 10 way.